The main Shiite opposition party in Bahrain has said it will boycott the proposed “national dialogue” next month and will also sit out the planned September elections. 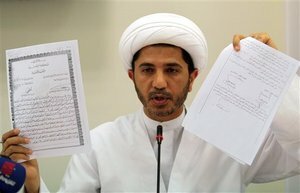 Al Wefaq leader Shaikh Ali Salman said it was a protest against the government for not doing enough to address Shiite concerns. “There has to be real dialogue that results in political reforms,” Salman said. “We believe the dialogue was a step forward for the country but setting conditions before the process is not acceptable.” Salman told Chinese news agency Xinhua they would not take part in the 24 September elections because the “issues faced by people is more important and is still ignored”. He also said the government needed to address sacking of workers, arrests of doctors and nurses, lawmakers and other citizens before entering any dialogue. The national dialogue forum starts on Saturday. It is aiming to attract 300 participants bringing together the full spectrum of Bahrain’s political, social, economic and rights groups. According to Dubai’s Gulf News, the participation rate of invitees is 94 percent. But Al Wefaq was the big undecided group suspicious the wide variety of issues on the table would diminish the chances of agreeing on real democratisation. It was also allowed only five representatives out of 300 total delegates.This is despite Al Wefaq being Bahrain’s largest party winning 18 of the 40 seats in last year’s parliamentary election. However they are regularly outvoted by a bloc of Sunni parties and independents. In February, all 18 Al Wefaq MPs resigned after seven people were killed by security forces in the battle for Pearl Roundabout (now razed and known as Al Farooq junction). The Government crushed the rebellion in March with troops from Saudi Arabia and the UAE. This was a veiled reference to trials and military court proceedings initiated by the government to deal with 500 people arrested since the February protest. On Monday Bahrain launched a mass trial of 28 doctors and nurses accused of joining the protests and spreading “false information” which is code for speaking to foreign media. Another 20 doctors and nurses are accused of alleged anti-state plots. On 22 June, a special security court in Bahrain sentenced eight activists and opposition leaders to life in prison on charges of “plotting to overthrow the government”. A special military court called the Court of National Safety came into being on 12 June to hold politically motivated cases against opposition members of parliament and a prominent defence lawyer. According to Amnesty International the courts were a response to the protests and are presided by one military and two civilian judges. The court sentenced a young female activist to a year in prison for charges related to her public recital of a poem critical of Bahrain’s King. In just over two weeks, the world’s newest nation will officially come into being. South Sudan will celebrate independence on Saturday, 9 July and the Sudan Tribune has been issuing edicts on what to do on the day. “Prayers must be conducted by a Christian; no Islamic prayers are allowed,” it said in one commandment. “The Big Day must be kept short, brief and entertained. Long speeches aren’t welcome,” said another. Another read: “the Southern leader must smile this time about; mean or weird faces aren’t needed.” The smiles should be plentiful but a few mean or weird faces may also be expected especially among northerners present, for the new nation’s birth pangs are proving difficult and protracted. Ever since Sudan gained independence from Britain in 1956, Muslim Khartoum has been at war with the Christian/animist south. It has been a long and bloody conflict in which two million people have died. A so-called Comprehensive Peace Agreement in 2005 finally allowed for a referendum in January this year in which 98 percent of the Southern Sudanese voted to go their own way. But tensions and troubles continue to dominate in the border regions especially the disputed oil-rich Abyei whose status remains unclear after independence.Khartoum seized Abyei’s main town on 21 May, causing tens of thousands of people to flee the area, triggering an international outcry and raising fears of open conflict. For the last week, Ethiopia has hosted a peace conference between the Sudanese government and Southern Sudanese People’s Liberation Movement. Finally former South African president Thabo Mbeke announced yesterday he had brokered a ceasefire in Abyei to demilitarise the region and bring in Ethiopian peacekeepers. Mbeke said the northern Sudanese military, the south’s Sudan People’s Liberation Army and Ethiopian officials would meet to settle on a mandate for Ethiopian peacekeeping forces to be deployed in the region. While it is culturally analogous to the rest of the south, Abyei has geological features that make it attractive to Khartoum. It sits on top of the Muglad Basin, some 120,000 km2 of land which home to the Muglad Basin Oilfield. Khartoum has built a 1540km long pipeline – with Chinese and Indian help – to carry 150,000 barrels of crude every day to Port Sudan on the Red Sea. The bulk of Sudan’s oil (proven reserves estimated at five billion barrels in 2007) is in the south at Abyei and Heiglig. The 2005 deal allowed for 75 percent of oil revenue sharing from the southern fields (but with no reciprocal agreement from northern fields). Khartoum also fudged the figures to avoid sharing revenue and much wealth has been skimmed off by the capital’s kleptocracy. The north also has all of the oil infrastructure with fulcrums at Khartoum and Port Sudan. The 2005 CPA agreement is not clear on Abyei. The region is administered by a committee of northern and southern Sudanese, with security provided by so-called Joint Integrated Units, groups of soldiers from both sides. But it is racked by disagreements and violence. The Bashir regime has used the instability of Abyei to delay full independence. Bashir ordered the army to invade the town after fighting in the ethnically mixed region gave him a pretext. He sent artillery, dozens of tanks and thousands of soldiers in and shelled a UN compound. They claimed the invasion was a response to attacks by southern forces which killed northern soldiers. The new agreement puts a bandage on Abyei but does little to stop the wounds from re-opening elsewhere along a porous 3,500km border. Darfur is a well known trouble spot as is Southern Kordofan. There the Sudanese Army have been on the rampage in the Nuba Mountains. Tens of thousands of rebel fighters have refused the government’s order to disarm and instead have disappeared into the mountains. The army has sealed off the area threatening to shoot UN helicopters if they intervene. There was much to admire in Surat today at what might possibly be the region’s last Mid Winter Music Carnival. 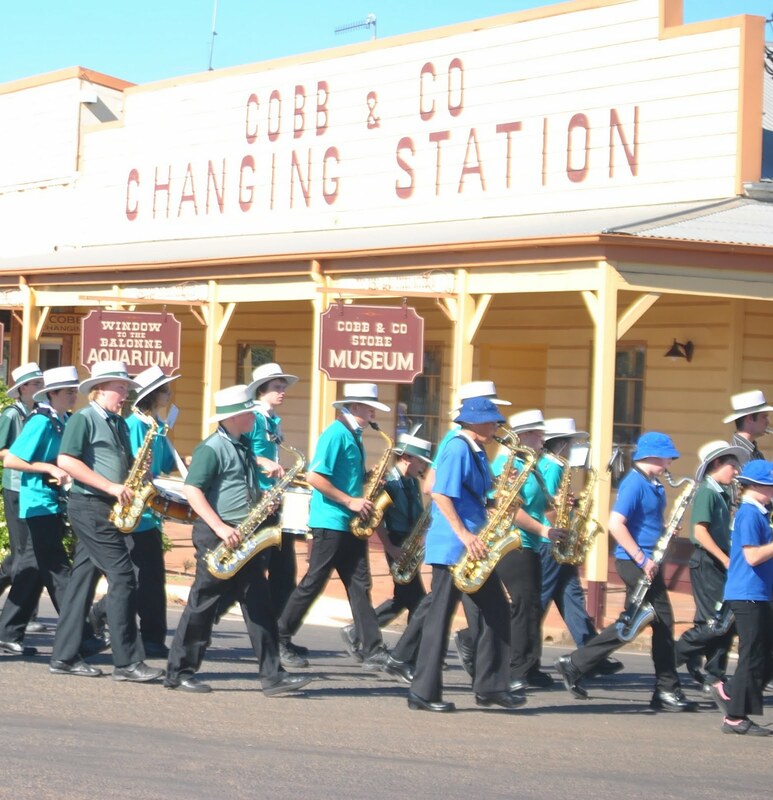 Every year hundreds of kids and enthusiastic parents, gather in one of the region’s towns, march around the central streets behind a marching band pumping out Waltzing Matilda, and end up at the local shire hall where they break up into bands and play a free concert. This year it was Surat’s turn to host the carnival. There were over a hundred musical kids on stage proof positive this scheme for nurturing talent works. But while parents listened with obvious enjoyment, they were also worried the government is about to destroy a good thing. The funding for the program will be axed at the end of the year. Today’s carnival is the PCAP Mid Winter Carnival and is sometimes shortened as PCAP Winterfest. PCAP is an acronym for the Priority Country Area Program. It is Queensland’s version of the national Country Area Program introduced by the Fraser Government in 1977 under the Disadvantaged Schools Programs. It recognises students in isolated areas have less access to educational, social and cultural opportunities than metropolitan students. Queensland’s PCAP is an annual community-based program and unusually – and critical to its success – is intersystemic, jointly administered by the State and Catholic school system. From 1982 eligibility was determined by eligible local government boundaries. Rural Queensland was divided into four geographical areas with local administration; each grew differently according to local needs. Itinerant PCAP teachers became devoted to the areas they served in. In 2008 there were 242 PCAP schools, many of them very small, enrolling 31,500 students. There are 48 local committees that decide where funds should go. These committees bonded rural communities as much as the programs they sponsored. The Federal Government gave $6.4 million to PCAP in 2008. The cost of administering the program in wages, committee meetings and operational costs is $1.6m. While the PCAP has good educational outcomes in the bush, they are difficult to put on a balance sheet. The administrative bill of 26 per cent of the total budget had bean-counters in Canberra worried. The 2008 Queensland Council Amalgamation and COAG insistence on more “accountability” from the states gave the cost conscious Queensland Government the opportunity it needed to claw back some of that funding. They called in former Education Department bureaucrat Frank Rockett and his consultation report had contradictory findings. Focus group meetings with stakeholders revealed flaws in the program including an onerous funding application process for even the smallest amounts, occasional trips for entertainment rather than educational purposes, and a bucket of funding money for wider community groups. But Rockett also acknowledged the vital role it played in forging community ties and good educational outcomes for isolated kids. He made 27 recommendations to the Minister for Education, and 20 were accepted in the final report. The program will be axed at the end of 2011 and replaced by Rural and Remote Education Access Program (RREAP). Eligibility will be based on the Australian Standard Geographical Classification used in the Health industry bringing in a total of 347 schools and 54,850 students. The administrators will be removed, the teachers will be based in schools not paid by the program and funding will be tied to learning outcomes. The administration will be divested to the schools themselves – adding to their already large workload. According to Rockett, the School Principal “is clearly held accountable for school performance just as the manager of a business or the Chief Executive Officer of a large company are equally held accountable.” But there is no one the school CEO can turn to with knowledge of the program’s many small but vital services. Without administrators RREAP will not be able to promote itself. Most people in the south-west know about PCAP – there are stickers everywhere. Here, PCAP is most synonymous with music and produces a huge amount of musically-talented kids, as Surat today showed. But it does much more. In the South-West, they run a bus to events around a huge district, they charter other buses to take people to regional competitions in Toowoomba and they subsidise dance teachers to drive 200km to help children learn ballet in St George. There were also intangible benefits like the confidence that flows on to other areas of learning and the discipline and responsibility a child takes on as a musician. As one parent told me today, her son was sick but didn’t want to miss playing as “he was the only saxophonist in the group”. PCAP was introduced in the Joh era and some might call it pork-barreling, subsiding educational outcomes for a particular area. In Queensland parliament in September 2009, Current LNP leader-in-the-house Jeff Seeney called it “an important source of funding for country area schools in order for them to provide the extra opportunities that larger schools take for granted.” I would go further. PCAP is a great model for effective micro-local government. It cost money but it was ecumenical, it was rooted in the community, it inspired kids to be musicians and parents to be volunteers and it had value-added services based on unique local needs. The Government will save $1.6m on the empty swings of administrators but may lose more on the busy roundabouts of harassed principals and demotivated volunteers with no paid support staff to give both a gentle push. As any parent in Surat could tell you today, it’s a false economy. A commitment to the war in Afghanistan is a rare area where both major Australian parties are in policy step. Only the inconvenient growing Australian death toll is making it public debate (dead Afghans don’t count – and aren’t counted in the west). There has been bi-partisan support for the mission since John Howard invoked the Anzus Treaty for the first time ever three days after 9/11. Australian troops were in the invasion force in October 2001 and have been part of the International Security Assistance Force since December 2001. Australian efforts switched to reconstruction in November 2002 and Special Forces were withdrawn as the focus switched to Iraq in 2003. But the war against Saddam hid the fact the Taliban had not been eliminated and the Iraqi distraction was a huge boost to their morale. A second group called the Pakistani Taliban – unaffiliated with the Afghan version – were becoming increasingly important and operated with impunity on their side of a lawless border. The Pakistani ISI provided military and logistical support to both Talibans making a difficult task almost impossible. Australia had a tiny presence in Afghanistan until 2005 when the US asked Howard to deploy 150 personnel to undertake security tasks similar to those of 2001-02. The war escalated in 2006 as insurgents used improvised explosives and suicide bombers. The Australian presence slowly rose in Uruzgan Province during the Howard and Rudd Government eras, gradually replacing the Dutch who ended their mission last year. In April 2009, the Rudd Government increased the Australian commitment by 450 to 1550 troops. The ADF is mentoring the 4th Brigade of the Afghan National Army in Uruzgan, and Special Forces are also there. According to the policy, the Gillard Government will not keep Australian troops in Afghanistan “any longer than necessary”. But Labor remains committed to troops as long as required. Neither the withdrawal nor the commitment have objectives or critical success factors. The policy says Defence expects to complete the Uruzgan training, transition security responsibility and move into a supporting role “within two to four years”. The last policy statement was in April 2009 which supported the Labor deployment of additional troops. Shadow Minister for Defence Senator David Johnston said boosting troop numbers “sent the right message to our allies that we are in for the long haul in terms of rebuilding Afghanistan so it was no longer a safe-haven and training ground for terrorists.” Senator Johnston said Australians should never forget the Bali bombing terrorists were trained in Afghanistan. “It is dangerous to be there but it is even more dangerous for us not to be,” he said. The link between the Bali bombers and Afghanistan is disingenuous. Indonesian police said bombing “field commander” Imam Samudra went to Afghanistan in 1991 and learned to make bombs there. The attack’s overall co-ordinator Mukhlas also worked with the mujahidin in the 1990s as did fellow planner Ali Imron. However they were all there before the Taliban seized power. The mujahidin were supported by the West who wanted to overthrow the Communist Najibullah regime. Although they succeeded in 1992, war continued throughout the mid 1990s as mujahidin fought each other for control of Kabul. Pakistan-backed Mullah Omar took control with his Taliban forces in 1996. The terrorists had training there not because it was a “haven” but simply because it is a war-torn country where law and order has little standing. The long war is undermining Afghanistan and Pakistan’s ability to function as democratic states. In his acceptance speech today for the Sydney Peace Prize, Noam Chomsky said no-one wanted Afghanistan to be run by the Taliban or the US-backed warlords. “There are very significant Afghan peace forces, pro-democracy forces, but if you check with them, they regularly regard themselves as facing three enemies: the Taliban, the US-backed warlords, and NATO forces.” In a world where politicians and media prefer to keep messages black and white, there are too many shades of gray in this Afghanistan war. In Shahzad’s last article he said the underlying motive for the attack was a reaction to crackdowns on al-Qaeda affiliates within the navy. Shahzad revealed that several weeks ago, naval intelligence traced an al-Qaeda cell inside navy bases in Karachi. An anonymous senior navy official told him Islamic sentiments were common in the armed forces. “While nobody can obstruct armed forces personnel for rendering religious rituals or studying Islam, the grouping [we observed] was against the discipline of the armed forces,” the source said. “That was the beginning of an intelligence operation in the navy to check for unscrupulous activities.” Shahzad also revealed negotiations between naval officers and an Al-Qaeda operative in North Waziristan. A few days later Shahzad went missing in Islamabad. He was driving his Toyota Corolla to the Dunya TV Studios to participate in a current affairs show that Sunday evening but he never made it. According to Pakistan’s The News, the kidnappers overpowered him and took him in his own car past three police checkpoints and three toll plazas where police are also usually present. They dumped his body in the Jhelum canal 100km north of Islamabad where it got entangled in the net placed to recover the bodies of drowning victims in the canal. The kidnappers then travelled to Sarai Alamgir 150km southeast of the capital where they abandoned the vehicle. The body was found late Tuesday. As the Daily Beast notes, Shahzad covered a dangerous beat and landed many exclusive stories. 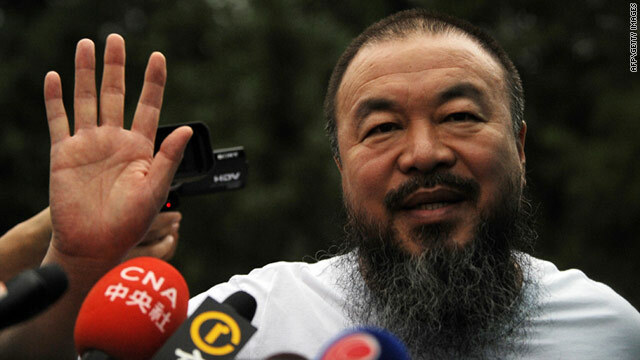 In 2008 he interviewed Pakistani Taliban leader Baitullah Mehsud, who died in a drone strike the following year. A year later, he interviewed Ilyas Kashmiri, the al Qaeda-affiliated jihadist who masterminded the 2008 Mumbai attack. Shahzad had just published latest book, Inside al Qaeda and the Taliban: Beyond bin Laden and 9/11, to much critical acclaim. Historian Gareth Porter said his unique knowledge and contacts made his writing a ‘must read’ for anyone who wants to understand Afghan and Pakistani Taliban. Shahzad’s editor said Pakistani President Asif Ali Zardari has expressed deep grief and sorrow over his death but doubted anything would come of it. “It will be business as usual in a country that had the most journalist deaths in the world in 2010,” the editor said. “As long as this appalling record continues, and Pakistan mouths platitudes while its security apparatus – whether directly or though subcontracting – runs rampant, the country will never be viewed as a trusted partner, as the United States has learned over and over again in the 10 tortuous years that it has been forced into an embrace with Islamabad.” Syed Saleem Shahzad learned brutally just how rampant that apparatus is.